There are many mold remediation companies in Atlanta, Georgia, because mold growth is very common in this part of the country. The area’s humid climate alone can provide all the moisture that mold needs to thrive. If you have discovered mold growing in your bathroom, attic, basement, crawlspace, or any other section of your home or business, give Abatement Solutions, Inc. a call. We are the mold removal company of choice for area realtors, residential and commercial property owners, and property management companies. Certification letter guarantee – We guarantee that, after we’ve treated mold in an indoor space that people occupy, we will have an independent mold inspector test air in the space and confirm that we’ve made the environment safe for inhabitants. Comprehensive services – We can handle every task involved with restoring your home or business to its pre-mold condition, performing the inspection, water extraction, remediation, reconstruction, and prevention work that is required. Effective mold remediation – Our highly skilled team utilizes industry-recognized tools and methods to ensure the best possible results. Air scrubbers with HEPA filters, advanced peroxide disinfectants, and EPA-registered fungicides are among the tools we have at our disposal. Attentive customer service – Your dedicated project manager will take a highly hands-on approach and guide you through the mold removal process from the time of your initial consultation until your home or business is fully restored. To learn more about what separates Abatement Solutions from other mold remediation companies, contact us today. 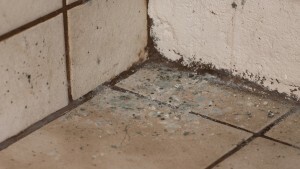 We will promptly address the mold problem in your home or business in Atlanta, GA.